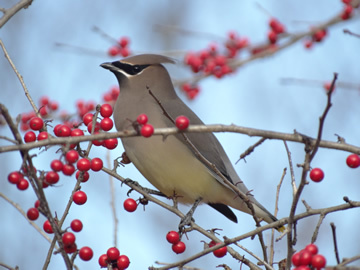 Join a Park System Naturalist for these laid-back morning bird walks. We’ll meander the parks for about an hour to see what birds we can find. No need to be an expert at identifying birds to enjoy these walks. A limited number of binoculars will be available to borrow if needed. Open to ages 11 and up; under 16 with adult. FREE! Thursday, May 9 at 9 a.m.
Hartshorne Woods Park, Middletown - Meet in the Rocky Point parking area. Thursday, May 23 at 9 a.m.
Manasquan Reservoir, Howell - Meet in the Visitor Center parking area. Thursday, May 30 at 9 a.m.
Thompson Park, Lincroft - Meet in the Marlu Lake parking area.